1 In a small sauce pot simmer water with soup. Stir cornstarch with water. Cook until soup become transparent. 2 Place lightly boiled broccoli and diced Sangu Awabi on the serving plate. 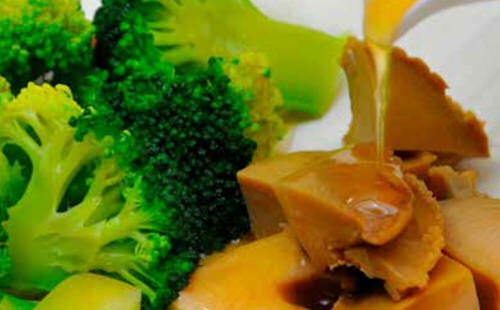 *You can also enjoy for steamed vegetables of your choice or fruits.